For those of you who do not know, the OUYA is a micro-console which runs its own version of the Android operating system designed to run various applications and games. The OUYA was released for retail consumption on June 25, 2013 and is considered part of the eighth generation of video game consoles. On a side note, the OUYA can be easily opened, modified, and even used as development kit. Despite this console being fairly intriguing, having great potential, and having a generous amount of games available to download and play, its sales were relatively light. Going further, its reception was not held high as users complained of various hardware and performance flaws. Nevertheless, depending on someone's views of what the reasons are, Ouya Incorporated has decided to expand its games to be available on other consoles besides the OUYA. This particular process of OUYA game integration across consoles has been dubbed "Ouya Everywhere." 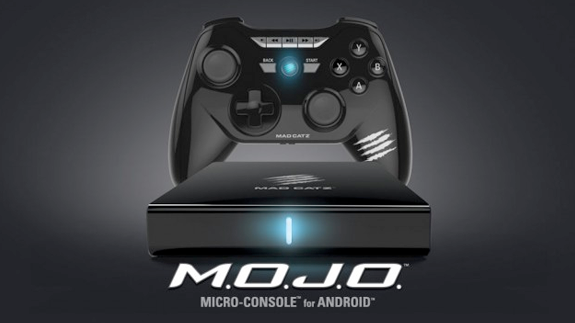 Ouya Everywhere is supposed to kick off this spring by partnering with the Android microconsole from Mad Catz known as MOJO. This console was released back in December of 2013, runs an unmodified Android operating system, and is able to connect directly to the Google Play online store. What makes the MOJO particularly interesting is its eventual ability to stream PC games and then play them using a television as opposed to a computer monitor. Along with the ability to run Ouya games, the MOJO is receiving a price cut from $250 to $200 in the United States. Some are skeptical as to whether or not Ouya games will truly be played "everywhere." It may be possible that some games will be ported over to various consoles or perhaps some types of mobile devices. It is reasonable to say that there may not be much incentive for larger-known consoles to take on a partnership with Ouya. For the time being, as opposed to "everywhere," Ouya games will be able to be played on more than one Android micro-console.